Thank you very much for giving our concert prime space at the top of page 2. 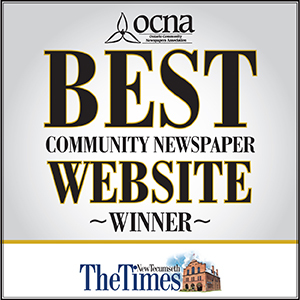 It is wonderful how The New Tecumseth Times is always supportive of all the local comings and goings. It is what a small town paper should be and we are very fortunate to still have our great paper. It is the only thing we subscribe to in our household and we look forward to it every week.